The Detroit Symphony Orchestra musicians strike may be nearing its end, but there’s still a lot of work that needs to be done to get things back on track at Orchestra Hall. For starters, the organization has to figure out how to overcome some ‘image’ problems that come with a six-month strike. Elizabeth Weigandt is a DSO spokeswoman. She says it hasn’t been pretty to watch the strike unfold, and some patrons may not be happy with how things were handled over the last six months, but "we're hoping that as we get back to making music for them, doing what they love, they will be able to let go of what’s happened, just as we will, and move on to an even better future." "Obviously we have to move quickly to get the word out about what next season will be, but we do have a lot of interest. We will probably make the announcement as soon as we can. I would say within the next couple weeks." Neither side has released details about the proposed contract. The musicians are expected to vote on Friday, though they will be back at Orchestra Hall for rehearsal on Thursday. As for the orchestra's finances, Weigandt says the DSO has "a steep hill to climb financially." The contract is likely to help DSO leaders reach a long-sought deal with the banks that hold the $54 million in debt on the Max and could foreclose on the building, forcing the DSO into bankruptcy. But a deal with the banks is likely to wipe out a large chunk of the rest of the endowment, said [DSO executive vice president Paul] Hogle. That means the orchestra will have little margin for error as it tries to climb out of its financial hole. DSO leaders have to meet ambitious fund-raising goals to keep annual deficits from ballooning beyond projections -- while also finding a way to rebuild the endowment. 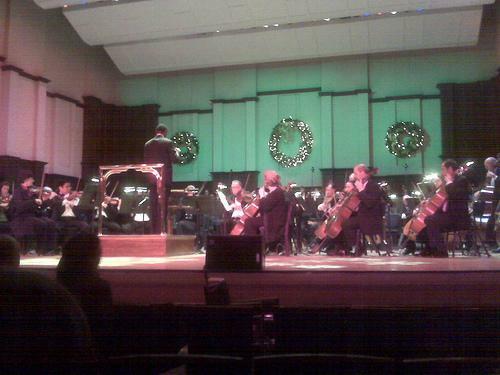 Detroit Symphony Orchestra musicians say they’ll return to the stage for rehearsal on Thursday. DSO officials have announced a tentative agreement that would end a bitter six-months-long players’ strike. Detroit Symphony officials canceled the whole concert season in February, when it seemed like feuding Orchestra players and management just couldn’t agree on a new contract. The two sides had deadlocked for months over issues ranging from pay to musicians’ outside teaching obligations. But under mounting political pressure and after a marathon weekend bargaining session, the two sides hammered out a tentative work agreement. Musicians’ union President Gordon Stump wouldn’t talk specifics. An official ratification vote will wrap up on Friday. Stump says musicians are happy the strike will end even though they’re “not crazy” about parts of the agreement. The strike cost the Orchestra some musicians, including its whole percussion section. 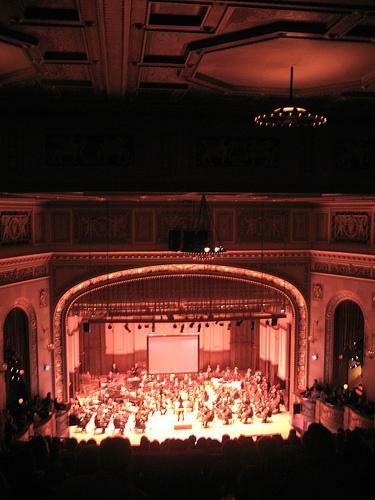 The Detroit Symphony Orchestra posted a $6.7 million budget shortfall for the 2010 fiscal year. Add to that the roughly $2 million the DSO spent on pension obligations and debt service on the Max M Fisher Music Center, and the total operating loss for the orchestra is $8.8 million. 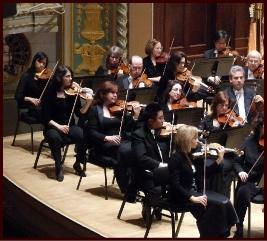 Musicians of the Detroit Symphony orchestra have rejected management’s latest contract offer. The musicians' union says while salary cuts had been agreed upon, other issues, including employee health care deductibles were unacceptable. Spokesman Greg Bowens says management's offer called for an 800 percent increase in their deductible. DSO president and CEO Ann Parsons says most people have been affected by changes in health care costs.